In 1865, Barrie was a bustling agricultural centre. But area farmers were desperate for a market building, and the new Town Council needed a place to hold meetings. So everyone was thrilled when Barrie’s new Town Hall & Market Place was finally completed. Merchants and farmers came to the Market Square from miles around to sell their wares, and the Market Building soon became the heart of the community! 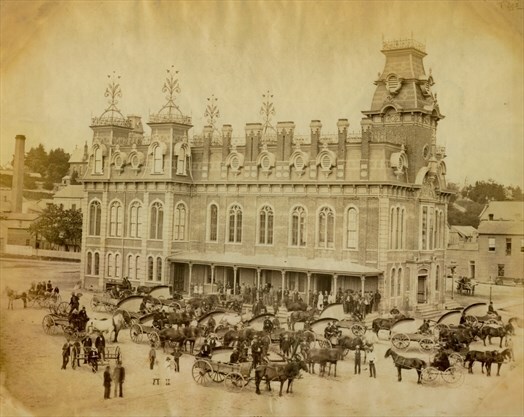 In the 1870s, it was remodeled in the Second Empire style, with a mansard roof, a tower and fancy ironwork. The building was demolished in 1985. In its place today is an archway in the shape of the original Town Hall & Market Place that first put Barrie on the map.